To play, click inside the game window to activate it, and then use the arrow keys or ASDW keys to navigate. Interacting with objects will reveal pieces of the story. Some objects hold multiple lines of dialogue. Run into objects with the hamster to interact with them. The hamster is not constrained by gravity, but can only "jump" up one tile in the first room. We wouldn't want him to escape his cage! Inspect your surroundings, and then hunt for treats. 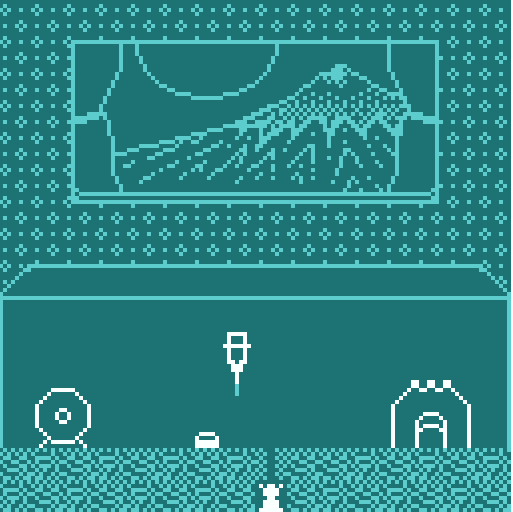 This is my first published project here on Itch, as well as my first experience with Bitsy and with game jams. It was made in 7 hours, but it will only take a minute or two to play, (if you don't rush.) I hope you enjoy it! If you do, feel free to leave a tip. This was just a fun little experiment, and is unlikely to updated. I am much more likely to make new Bitsy adventures than to add on to this one, but you never know what the future holds! I had this magical moment when I discovered the subterranean world. I laughed out in joy. I love the cozy ending. Thanks for creating that moment of discovery for me. Aww, thanks so much! :D The window took a very long time to draw. I'm always tempted to eat those treats, they do smell good! This was so cute!! Strawberry yoghurt drops sound delicious, I want some now. Thanks so much for the sweet comment! I have a hamster of my own named Elmo and those are his favorite. I'm very tempted to try them, they smell delicious.